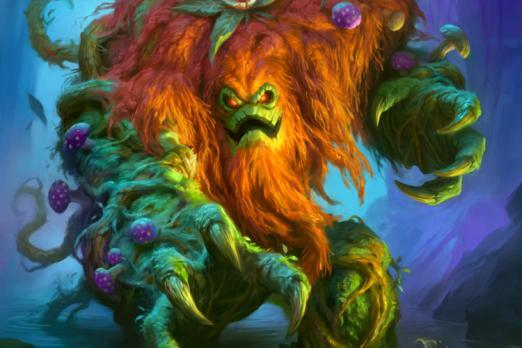 On Thursday, Hearthstone announced a revamp for ranked and its rewards. Players have been complaining for years about how awful the grind reset can be every month. Going from Legend to rank 15 and having to work your way up again really isn’t fun. To remedy this, Hearthstone will only knock you back four ranks when the season ends. Unfortunately, it’s where you ended the season and not the highest rank you reached, but that just makes the climb that much more worthwhile. In addition, all ranks will be five stars and you’ll have to play at least five games a season to earn the card back. Blizzard has had ongoing problems getting new players to play past rank 20, since all they want is that sweet free loot card back. The company is hoping that forcing these players to actually engage more with their game will snowball them into more reliable players. You can’t just steamroll a few noobs in Wild with your Secret Paladin deck from two years ago and earn that card back anymore. Pro players online have been voicing their opinions about these changes. StanCifka, one of the most successful Hearthstone pros in the scene, loves the changes but feels they leave out high Legend players. In a reddit post, he says “this change doesn't care if you were legend” in the top 100 or 1000, “they all just fall down to the same point.” The change also makes it easier for pro players to maintain Legend accounts on all three servers, making it easier to enter tournaments and earn points for the next season of Hearthstone Championship Tour. Other members of the Hearthstone community, from casters to pros, also think the balance changes are a solid step in the right direction. Overall, these balance changes are a welcome addition to Hearthstone . I personally despise the ladder grind, going from rank 2 to rank 18 every month has discouraged me many times from hitting Legend. I know I’m technically not a Hearthstone pro, but I have been to all four HCT events in 2017 and hit Legend multiple times. I think that has to count for something.